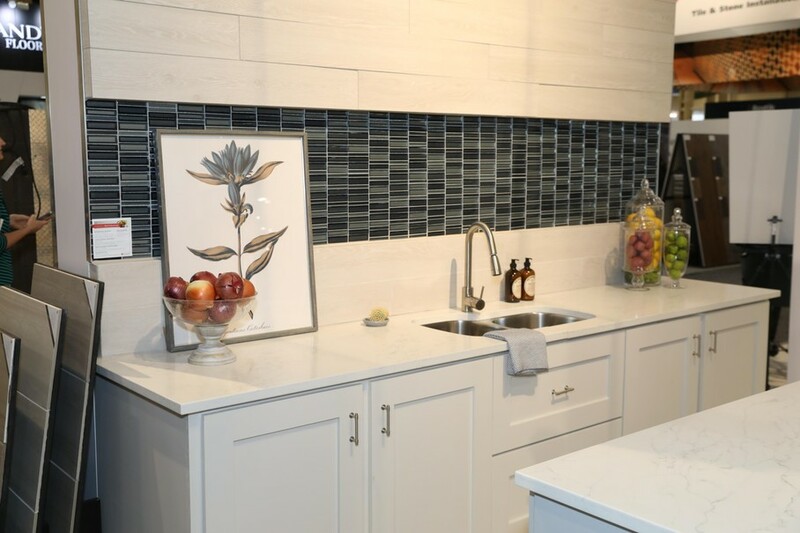 Daltile and Marazzi, which are household names in the tile industry, offer up an impressive array of sizes and styles to match any consumer preference. There’s a good chance you’ve heard of Daltile and Marazzi. These brands, which are owned by Mohawk Industries, are big players in the tile industry. Between these companies, most consumers can find a tile product that meets both their style and durability specifications. This variety is one of the reasons why House Tipster chooses to use their products in our Virtual Rooms. They offer so many wonderful options! 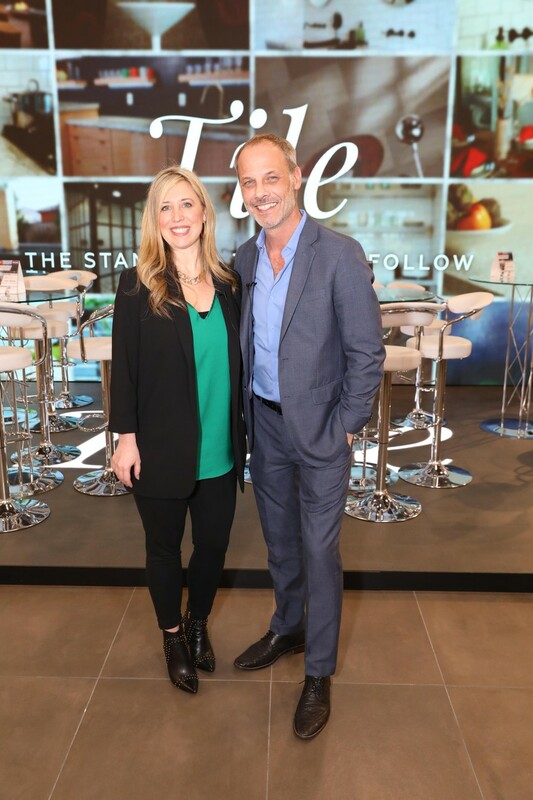 Over the past week at The International Surface Event (TISE) in Las Vegas, world-renowned interior designer Christopher Grubb met up with April Wilson, Director of Marketing for Daltile and Marazzi to discuss the companies and standout product lines. Here’s a snapshot of their illuminating conversation. 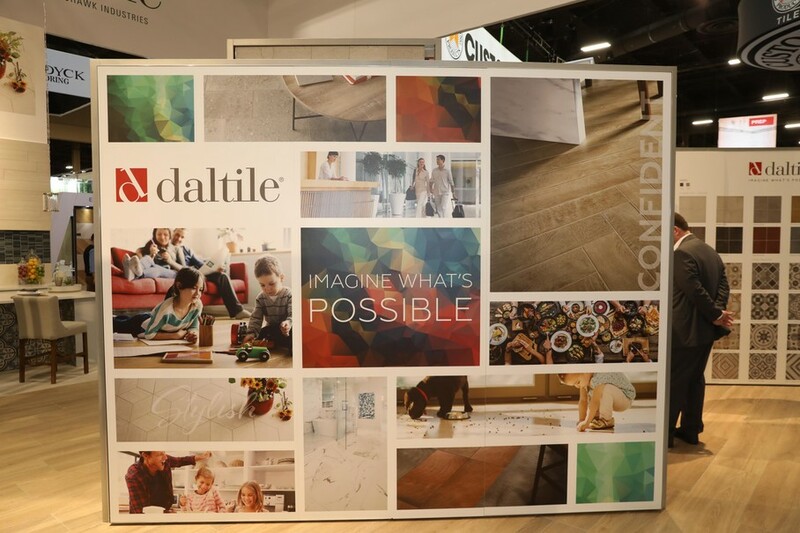 In an industry such as flooring, that is always changing and moving forward at a fast pace; it’s nice to see companies like Daltile and Marazzi that are willing to stay ahead of the trend curve and carve out a permanent place in the industry. It’s this longevity that appeals to designers like Christopher Grubb. Today, both companies are owned by Mohawk Industries — a flooring powerhouse, amongst the good company of other notable brands like PERGO and Karastan. And versatility sure is evident throughout both brands. From Marazzi’s Italy-inspired mosaic patterns to Daltile’s clean and contemporary finishes, there’s a design for every residence and commercial setting. One line that stands out to Christopher, in particular, is Emerson. “It a wood-look tile, and I love it,” he explained. According to April, Emerson is available under the Marazzi brand. With Emerson, “You can get a realistic hardwood look with the durability of tile,” she said. Emerson tiles are available in multiple sizes, including 6-by-48 inches, 8-by-48 inches, and 12-by-48 inches. The tiles can also be mixed and matched to create the perfect hardwood look without the pitfalls common with natural solid woods. 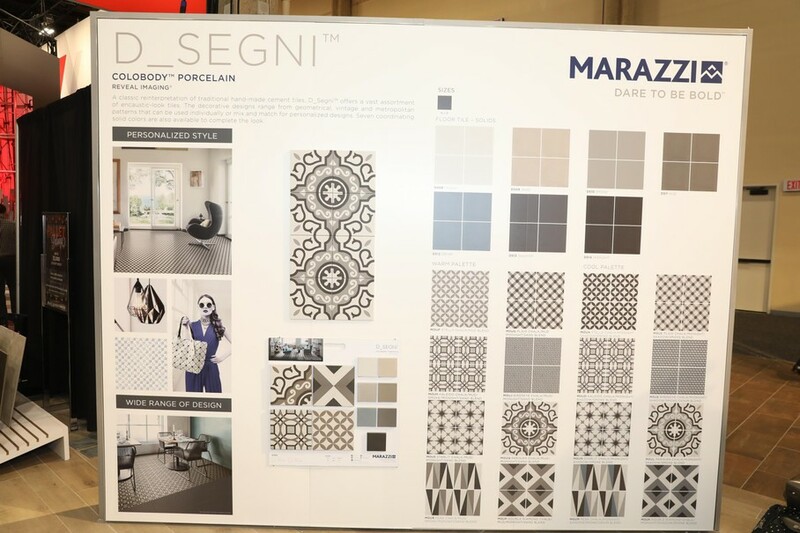 Naturally, Marazzi and Daltile plan to continue bringing new styles and trend-setting tiles to the market. Besides adding more black tiles, a contemporary favorite, they’re also introducing new designs under the D_Segni collection. “It’s a gorgeous look,” Christopher notes. Regardless of which tile designs you choose, remember to pick something that resonates with you. “You don’t choose flooring materials very often in your life, so get a style that you love,” April suggested. Thankfully, Marazzi and Daltile can help with just that! Visit Daltile and Marazzi’s respective websites or shop the entire Mohawk collection here.